Millions of stamp collectors covet U.S. stamps, and the variety of stamps available today is mind-boggling. Therefore, pricing your stamps requires expert knowledge. Experts produce a range of price guides for U.S. postage stamps. According to the American Philatelic Society, Scott Publishing Co. is the world leader in stamp pricing. The company produced its first price list for stamps in June 1867. Today Scott publishes 1,400 different products. The company is known worldwide among collectors and stamp dealers. Its basic product is its most popular. The six-volume Scott Standard Postage Stamp Catalogue provides you with values for thousands of stamps. It is considered the most comprehensive and most dependable source for stamp pricing. The guide's publishers arrange stamps in alphabetical order by country name. The guide provides stamp illustrations and descriptions as well. The first volume of the catalog is solely dedicated to information on U.S. stamps. Among the other products offered by Scott Publishing Co. is the Scott Specialized Catalogue of United States Stamps & Covers. According to the Scott Publishing website, collectors of U.S. stamps find more information about U.S. stamps in the specialized catalog than in any other place, the standard catalog included. It is updated on an annual basis. For the beginning stamp collector, though, two more appropriate price guides for U.S. stamps are recommended by the Scott website. The Postal Service Guide to U.S. Stamps, published by the U.S. Postal Service, and the Scott U.S. Pocket Stamp Catalogue provide lots of information on prices for U.S. stamps, and both refer to Scott's catalog numbers when identifying stamps. Several websites offer price information on U.S. stamps. The Hobbizine United States Stamp Value Guide---http://values.hobbizine.com/stamps/index.html---provides market pricing for stamps in both mint and used condition. The guide features illustrations to aid in identifying stamps and commentary on some stamps. The guide bases its prices on dealer price reports, advertisements in philatelic publications and sale prices for public auctions. 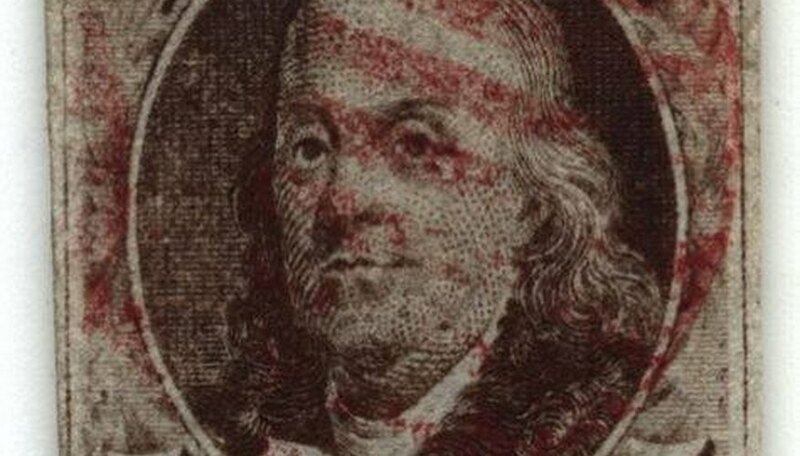 The website cautions that the prices are only a guide used to estimate the value of U.S. stamp collections. The Swedish Tiger---www.theswedishtiger.com---also provides price information for U.S. postage stamps. The online guide features images of U.S. stamps produced prior to 1953. The site tracks prices based on information taken from major U.S. auction houses and online auction sites such as eBay. The site updates prices twice per year. The site identifies stamps by the Scott Numbers, which are copyrighted property of the Scott Publishing parent company, Amos Press Inc.